The Astrid Lindgren stage offers a framework program for teaching about theatre. The program revolves around selected pieces. This includes preparatory educational material for teachers, follow-up workshops led by experienced theatre teachers, tours of the stage and chats with the actors. 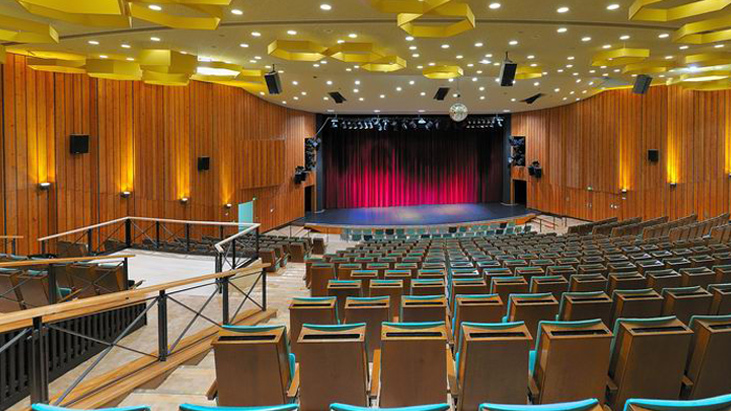 Since 2009, the Astrid Lindgren stage has hosted theatre days for primary schools, where schoolchildren from all over Berlin can come and delve into the world of theatre. In various workshops teaching about theatre and featuring stories, dances and songs, the children can use their sense of play and creativity to get to grips with a particular topic. Simultaneously, teachers can take part in discussions to find out more about the possibilities of curricular and extracurricular theatre work. The Astrid Lindgren stage is a project partner of TUKI, a project founded in August 2011 by the JugendKulturService that aims to strengthen cultural education among children and toddlers via a series of cooperations between theatres and playschools. The Astrid Lindgren stage is also a theatre for the TUSCH (Theatre and School) project. In cooperation with experienced theatre teachers, we develop and perform theatre pieces with the children of our partner schools. Tel. +49 (0)30 530 71 174 or alb(at)fez-berlin.de.